Mikalojus Konstantinas Čiurlionis (22 September 1875 in Varėna - 10 April 1911 in Pustelnik), a foremost Lithuanian artist, composer and cultural figure, has laid foundation for Lithuanian professional art and music. In his art he sought universality and synthesis and revealed individually perceived spiritual unity between cosmos, nature and human. Čiurlionis' oeuvre is comprised of paintings (oil, graphics), music compositions, literary works and photography. Among his most significant paintings are Sonatas (7 cycles) exposing analogies with musical structures, extraordinary and manifold concentration of ideas, and innovative conceptualism. His music displays features of late romanticism, original principles of development and suggestive expression. He was the first Lithuanian composer to write polyphonically elaborated folk song arrangements for choir; his remarkable late choral works stand out from the Lithuanian music of that time. The most copious and original is his output for piano. In his late piano preludes the composer developed distinct contrapuntal texture and form. In variation cycles for piano he invented his own serial principle of melodic organisation (fixed 7-9 tone rows). Since 1877 Čiurlionis lived in Druskininkai, where he graduated from the folk school. His first music teacher was his father, church organist. Later (1889-91) Čiurlionis studied at the orchestral school of Duke Michal Oginski in Plungė. In 1892-93 Čiurlionis played flute in the orchestra. In 1894-99 he studied at the Warsaw Institute of Music, beginning as a pianist (with T. Brzezicki and Antoni Sygietinski), later (since 1897) continuing as a composition student (with Zygmunt Noskowski). He composed cantata "De profundis" for his graduation. In 1900 Čiurlionis wrote symphonic poem "In the Forest", which earned a special jury commendation at the Maurycy Zamoyski competition. In 1901-02 he studied with Carl Reinecke (composition) and Salomon Jadassohn (counterpoint) at the Royal Leipzig Conservatoire. He also attended lectures in aesthetics, history and psychology at the Leipzig University. Regular visitor of the C.F.Peters library he studied scores by Hector Berlioz and Richard Strauss, and copied by hand Strauss' symphonic poem "Tod und Verklärung". While in Leipzig he composed string quartet, symphonic overture "Kęstutis", a number of polyphonic works for piano, organ, and mixed choir. On July 14, 1902 he graduated from the Leipzig Conservatoire earning teacher's diploma. In 1902-03 Čiurlionis lived in Warsaw, attended J. Kauzik's drawing class, and in 1904-06 he studied with Kazimierz Stabrowski, Konrad Krzyzanowski, Ferdynand Ruszczyc and K. Tichy at the School of Fine Art. 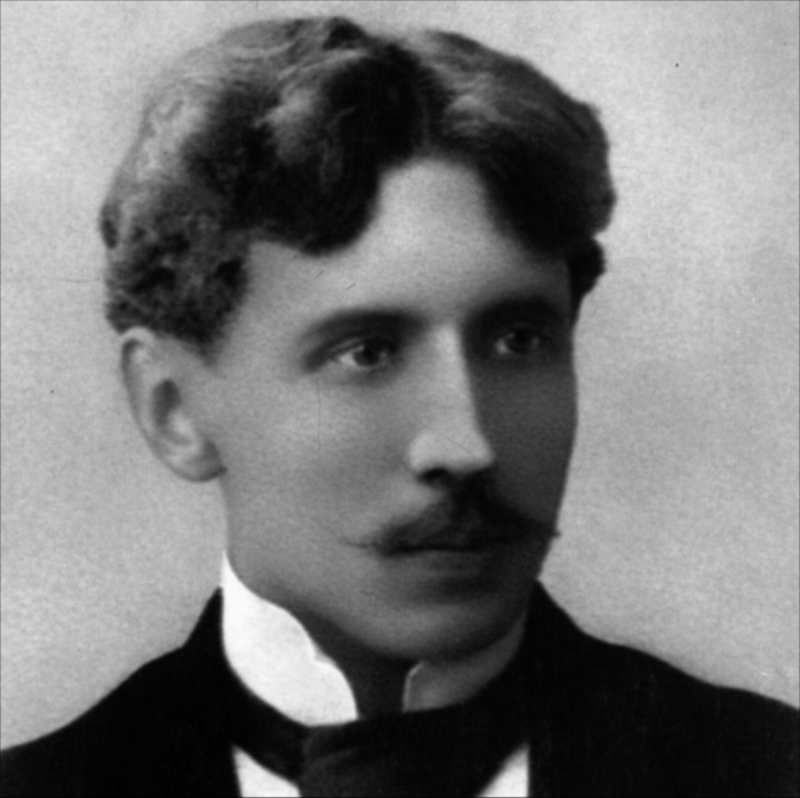 In 1903 he started working on the symphonic poem "The Sea" (completed in 1907). Concurrently he worked as a director of Lithuanian Mutual Aid Society's choir (1905-06) in Warsaw. His first personal painting exhibition was organised at the Warsaw School of Fine Art in 1905. In summer 1905 he travelled to the Black Sea, in autumn 1906 he visited museums in Prague, Dresden, Nürnberg, Munich and Vienna. 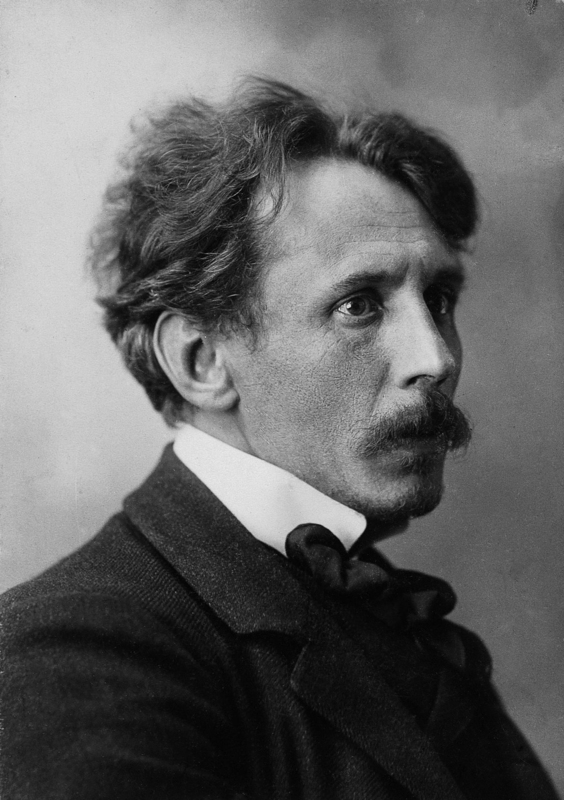 In 1907-08 Čiurlionis lived in Vilnius, where together with his colleagues established Lithuanian Fine Arts Society, displayed his paintings in the first Lithuanian art exhibition, directed the choir of "Vilniaus kanklės" society and wrote original works and arranged folk songs for it, performed as a pianist and conductor, and wrote articles on music and art. On May 30, 1908 under the baton of the composer cantata "De profundis" was given its first performance. In autumn 1908 he visited and in 1909 lived in St. Petersburg. He got acquainted with the members of Russian Artists' Association Mstislav Dobuzhinsky and Alexandre Benois, took part in their exhibitions. Čiurlionis initiated a music division at the Lithuanian Fine Arts Society and organised the first competition for Lithuanian composers. 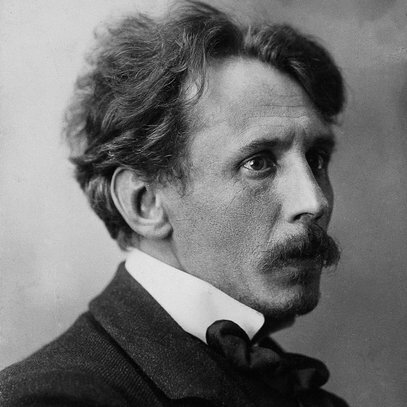 At the time a collection of his folk song arrangements "Vieversėlis" was published in Warsaw. On January 14, 1909 he married Sofija Kymantaitė. In January and February his piano works were performed in St. Petersburg along with the compositions by Alexander Scriabin, Nikolai Metner, Igor Stravinsky and Sergei Rachmaninov. In summer 1909 Čiurlionis was elected a member of Song Collection Committee at the Lithuanian Science Society. Together with Kazimieras Būga, Augustinas Voldemaras, Česlovas Sasnauskas and Juozas Tallat-Kelpša he worked on a dictionary of Lithuanian music terminology. By the end of December he became ill, the doctors diagnosed severe exhaustion. In March 1910 Čiurlionis was hospitalised in sanatorium in Pustelnik (near Warsaw). In the meantime his art was beginning to receive international recognition: in 1910-11 his paintings were displayed in St. Petersburg, Moscow, Riga, Minsk, Vilnius, Kiev, Paris, he was invited to participate in the exhibition of New Artists' Union in Munich, he was elected a member of "Mir iskusstva" (World of Art) Society in St. Petersburg. In March 1911 Čiurlionis caught cold which developed into pneumonia. He died on April 10, 1911. Buried in Rasos Cemetery in Vilnius.